Michael has management consulting experience in financial and strategic planning, business process review and redesign, program assessment, and policy research, with both public and private sector clients. He is an Advisor at CVS Health working on projects aimed at improving operational efficiency and cost reduction for the company’s retail business. He formerly worked at Public Consulting Group (PCG), where he played a significant role in developing recommendations for State Social Services agencies. Michael graduated a Morehead-Cain Scholar from the University of North Carolina at Chapel Hill with degrees in Biology and Public Policy. George develops and manages UZURI’s financial and tax processes. With a working experience of over 4 years, George holds an MBA. He has satisfactory knowledge in product design & development, investment, and financial management. He enthusiastic about start-up profit making organization and he spends his free time trying to analyze the performance of start-up organization and how to make them big. He is currently working as an environmental consultant at PERK Consult (International) Ltd.
Richard manages operational activities at UZURI. He currently works as a quality improvement advisor for USAID ASSIT Project Uganda. Richard developed a strong understanding of the Uganda healthcare system, after practicing medicine for seven years at a health center where he led a team of two Physician Assistants and eight nurses. Claire is an embryologist at Women’s Hospital International- one of the largest centers with specialists in the fields of gynecology, fertility and maternity in East and Central Africa. She has a broad experience working with healthcare professionals and counselors in Uganda, Rwanda, Tanzania and India. At UZURI, Claire creates and leads implementation of the health care strategies. Peter leads the business development activities at UZURI; develops and manages key relations with UZURI vendors, research and development and procurement for UZURI equipment. 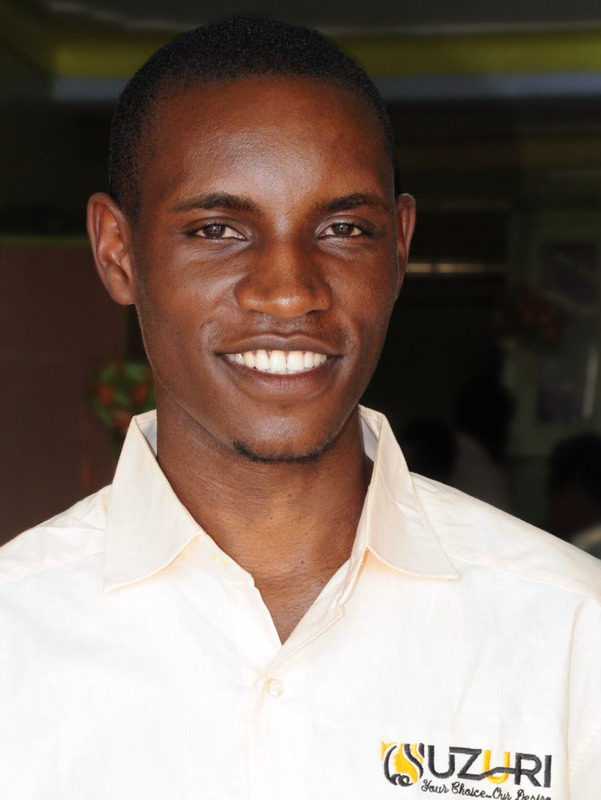 As a trained professional in medical laboratory technology from Makerere University, Peter currently works with The AIDS Support Organization (TASO) at Mulago hospital. Previously, he worked with various health care service providers in Kampala, Uganda including AAR Healthcare Uganda, Uganda Bureau of Statistics and Wagagai Health center- Entebbe, Uganda. Faridah leads the strategic communication efforts at UZURI, creating and implementing strategies for investor relations, marketing and brand development. She is currently completing her B.A at Agnes Scott College, majoring in Business management and French. Faridah was born and raised in Uganda. Angella is an experienced HR professional with over 10 years’ experience in both non-profit and for-profit sectors. In addition to developing HR strategies for UZURI, Angella leads client experience efforts; ensuring that UZURI creates a welcoming, comfortable and classy atmosphere for clients. Josephine is the Litigation Director at Taslaf Advocates and her practice focuses on complex litigation matters, including commercial, tax and employment law. She also advises on the areas of corporate law, real estate, conveyancing and family law. She has gained experience over the years having worked with leading law firms in Uganda and has built her ability to resolve legal disputes in an increasingly complex legal and regulatory frame work on tax compliance matters affecting a wide spectrum of tax issues, and on tax planning for tax minimization. Our heartfelt thanks to Dagbedji Fagnisse, Lorrie Guess, Katie Muto and Sallie S. Russell for the counsel, dedication and time that each put toward UZURI. UZURI Health & Beauty, Ltd.
©2017 UZURI Health & Beauty, Ltd.